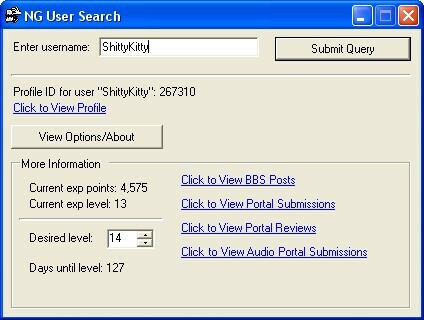 NG User Search makes finding users on Newgrounds easier. It combines four different search tools (Google, NG BBS, NG Portal, and NG Audio Portal) into one easy-to-use tool. This program is in early stages of development, so expect more features soon.